Here is a beautiful screenshot of Ubuntu desktop. 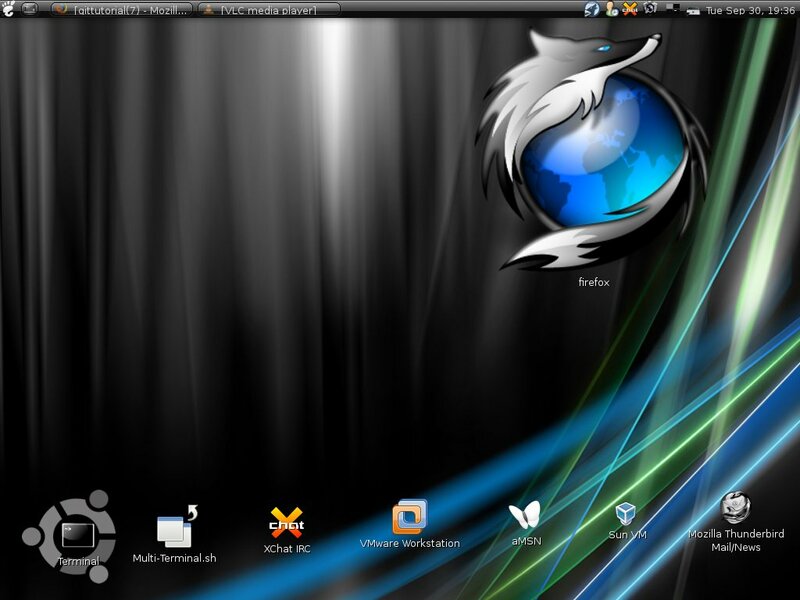 It has some kind of black theme with big nice cool looking Firefox icon. Other icons are lined below. Unlike other screenshots, in this screenshot you wont find any dock or screenlets. With combination of nice theme, icon and background this sure is a solid desktop. What theme and icon set have you used?? sorry _khattam_, it was long time back I dont remember what i used.